Are you one of those people who have never failed? I hope not, because failing in my opinion is a stepping stone on the road to success. Most people who succeed on any massive level are people who try… everything, and as a result, may often fail. They get out there and take risks. Sometimes they succeed and sometimes they fail. In fact a stepping stone to success is failure. 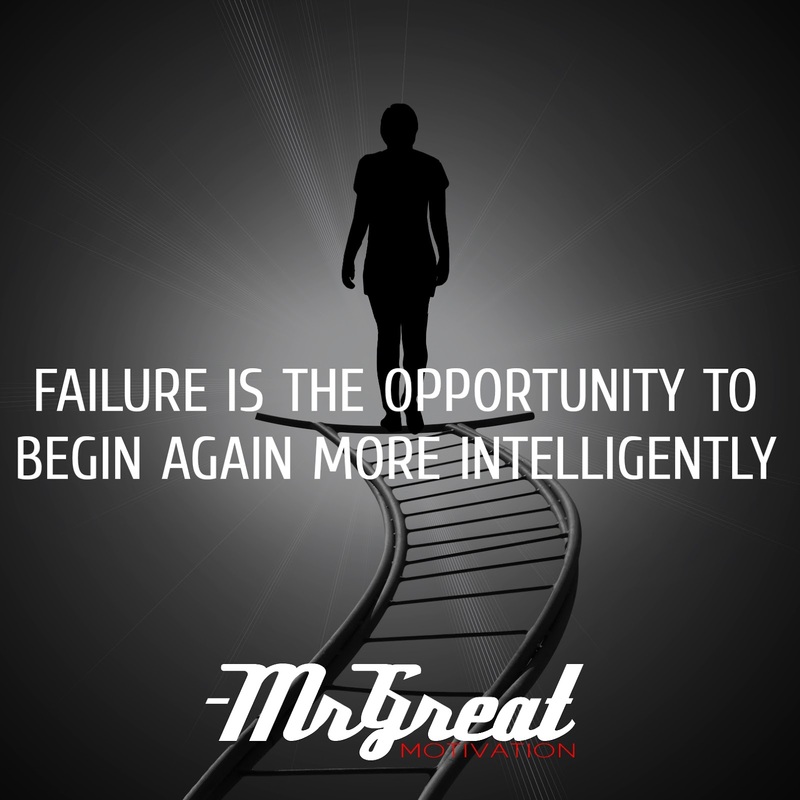 Our greatest glory is in never failing, but in rising every time we fail. Ask just about any successful leader or business man and they will gladly tell you about their major mistakes, missteps and failures. They happen to us all. They key is not to let them get you down or discourage you, but to learn and grow from them. Never repeating the same mistake. I value strong emotions that drive you to persist and work harder when you want to give up most. I value wisdom, for one cannot gain wisdom without understanding the highest successes and, likewise, the lowest failures that force you to get back up and try again.